Mr. Nathaniel Bailey is a VCA alumnus (class of 94). He has been teaching in the New Orleans area for the last decade, first at Dominican High School, then at VCA. Mr. Bailey has a Bachelor’s degree in Classics from Loyola New Orleans and a Masters in Church History from the University of Notre Dame. When not in his office, Mr. Bailey can be found teaching Reading, Latin or History in the classroom or out at a game with the VCA Gators. His two daughters, Caroline and Isabelle and his son Philip Cato, attend VCA. They even have some of the same teachers that Mr. Bailey had when he attended VCA! Mrs. Jane joined the VCA staff in February 2015. Her previous position was with a CPA firm for 18 years. Miss Jane has been a part of the Victory family since her youngest daughter, Brittany, attended VCA in 2000 as a second grader. Her older daughter, Janelle, and son in law, David, a VCA alumnus, are members of Victory Fellowship. Miss Jane feels it is such a blessing to be around young children and hear their laughter on the playground. She brings efficiency and accuracy to the finance office, and is always ready to assist parents. Mrs. Donna received Christ in her late 20s. She has a background in commercial art, and applies her creativity to solving problems. She obtained a certificate in building and property maintenance from Jefferson Technical Institute in 1996, and has been a carpenter’s helper, hotel maintenance lady, handymom, critter catcher, and bunny rescuer. Miss Donna is a “Jacqueline” of all trades, master of some. Her daughters are Katie Scarlett and Antonia. BunnAgain Rabbit Rescue in Paradis, LA was founded by Miss Donna and keeps her busy when she is not at work. Miss Donna loves working at VCA. Mrs. Amanda McDaniels is excited to teach Pre-k 4 at VCA. Miss Amanda attended Black Hills State University where she double majored in Elementary Education and Special Education. She also received a minor in Early Childhood Education. She was born and raised in South Dakota. them to be. Outside of teaching, she loves being outdoors, traveling and learning about anything to do with health and wellness. She is happy to be part of the team! Miss Meredith Wood is excited to join the staff at Victory Christian Academy this year. This will be her 10th year teaching. She has a degree in Early Childhood Education from Tulane University. Miss Meredith loves teaching young children. In her spare time she enjoys reading and spending time at the dog park with her dog, Sneetches. Miss Meredith’s favorite Bible verse is Romans 8:28 – “And we know that in all things God works for the good of those who love Him, who have been called according to His purpose.” Miss Meredith is looking forward to seeing all that the Lord has planned for this school year! Miss Erin Smith is excited to be VCA’s Kindergarten teacher. Miss Smith has a Bachelor of Science degree in Elementary Education from LSU. While at LSU she was a life group leader with Chi Alpha Christian Fellowship. Miss Smith has worked Vacation Bible School for 3-12 year olds, and with students of varying ages in the Baton Rouge school system. Miss Smith is a Louisiana native and Victory Fellowship is her home church. She has happily answered God’s call to teach at VCA. She is excited to see what her first year at VCA will hold, and looks forward to working with the precious Kindergarten children. Mrs. Morgan has taught first grade at VCA for the last three decades. Mrs. Morgan attended University of New Orleans where she received a Bachelor of Arts in Elementary Education. In addition to her teaching duties, Mrs. Morgan organizes the yearly Operation Christmas Child program at Victory Christian Academy in which the students collect presents in shoeboxes for less fortunate children around the world. She also serves as the moderator for VCA’s Speech Meet, a competition of the Association of Christian Schools International. All who know Mrs. Morgan appreciate her enthusiasm for teaching and her willingness to go the extra mile for her students and the school. She brings a wealth of experience, wisdom, and a love for God to the educational team at VCA. Mrs. Morgan is married to Mike. They have a married daughter, Tiffany, a grandson, and dogs who bring fun to their lives! Mrs. Mandie Roussel is VCA’s second grade teacher. 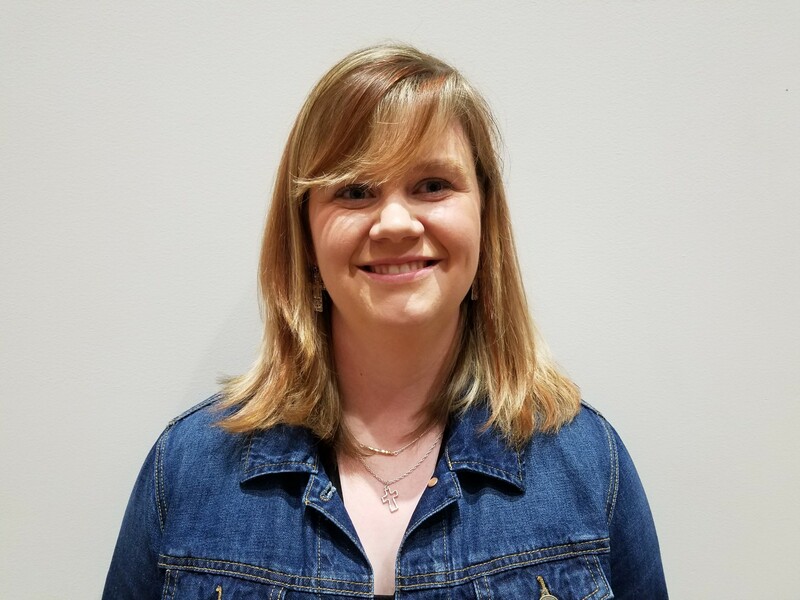 Mrs. Roussel graduated from Bethel College in Mishwaka, Indiana with a bachelor’s degree in Elementary Education and an endorsement in Reading and Language Arts. She also received an associate’s degree in American Sign Language. Mrs. Roussel is originally from Philadelphia, Pennsylvania. After marrying her husband Christopher and moving to Denver, Colorado and then to Glasgow, Scotland, the two of them believed God was calling them back to New Orleans, Christopher’s home town. Mrs. Roussel has one son, Gideon. Mrs. Roussel is excited to be part of the VCA staff and cannot wait to incorporate her love for the Lord and creativity into the classroom. Mrs. Goodwin is VCA’s third grade teacher. She holds a Bachelor of Science degree in Elementary Education. Mrs. Goodwin is a former police officer of 9 years. She left the Law Enforcement field and returned to school after having her daughter to pursue the Lord’s new calling for her as an educator. Mrs. Goodwin completed her student teaching experience in third grade. Mrs. Goodwin accepted Jesus Christ as her Savior at the tender age of 8, and has been active in her home church her whole life. Mr. Michael Johnson is VCA’s fourth grade teacher. 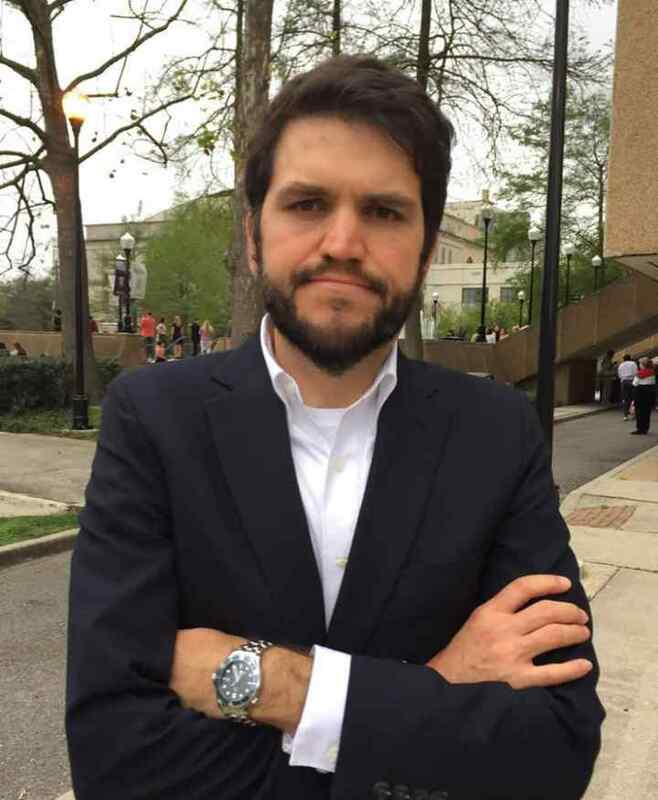 Mr. Johnson graduated from North Georgia College and State University with a bachelor’s degree in early childhood and special education. In January 2015 he moved to New Orleans to continue working on a Master of Art in Missiology at New Orleans Baptist Theological Seminary. He is richly blessed to be married to his wife Rachel who works as a Spanish teacher in New Orleans. In the past Mr. Johnson has had the honor of serving the Lord through mission work in Poland, Canada, Haiti, Dominica, and in different locations around the United States. His calling to educational ministry was first revealed to him while he was working at a primary school on the island of Dominica. It was while serving on these different trips that Mr. Johnson learned that abundant life is found only in Jesus and in fully engaging God’s purpose for our lives. Along with serving the families of VCA, Mr. Johnson is also a pastor and elder of his church. Mrs. Stephanie Maerke teaches Bible 5, History 6, and Grammar 8. She attended Tulane University and Southeastern Louisiana University earning a Bachelors of Music Education degree with certification to teach K-12. Mrs. Maerke has taught every grade level in both public and private schools as well as provided private tutoring and music lessons. She brings over ten years of teaching experience with her into the classroom. Mrs. Maerke was saved as a small child in children&#39;s church and believes that children benefit greatly from an early spiritual foundation. She holds her ministerial license through the Great Commission Fellowship and is the fourth generation of ministers in her family. She has been married to her husband, Kristian, for 20 years and they have two amazing daughters, Ashleigh Rose and Abigail…and one very big dog, Duke. Ms. Daly holds a B.A. in Secondary Social Studies Education and a minor in Psychology from Nicholls State University. She completed 30 additional credit hours through the University of New Orleans, earning additional teaching certification for elementary through junior high school. Ms. Daly has over 30 years of teaching experience in both private and public school settings, including teaching at Victory Christian Academy during two prior seasons in her life. She has taught all subjects with concentrations in History, Math, Science, and Bible. The Lord Jesus Christ is Ms. Daly’s number one passion, and she loves to study the Bible, exercise, and spend time with family and friends. Her enthusiasm for Jesus, her students, and her subject matter is a positive part of VCA’s upper school! Mrs. Carol McCloud is excited to serve at VCA once again! She has 30+ years of teaching experience and will teach Math to the Upper School. She is a graduate of University of New Orleans with a B.A. in Elementary Education (grades 1-8) and has an ancillary certificate in Montessori Education (ages 2-7). Mrs. McCloud has always felt called to work with children and especially likes teaching math. Dana Taylor teaches Grammar and Reading in the Upper School. Mrs. Taylor earned her Bachelor of Arts Degree from the University of New Orleans in 1986 and has completed the Alternate Certification Program at UNO and passed the NTE. This means that she is “certified and highly qualified” to teach middle school language arts. Mrs. Taylor has been a part of Victory Christian Academy’s faculty since 2000. She has worked in Children’s Ministry since she was a teenager and feels that teaching is a great calling that God has placed on her life. Mrs. Taylor has been married to her childhood sweetheart Marcus since 1980, and they have a wonderfully terrific daughter named Sarah. Mrs. Cardenez has taught Spanish in VCA’s lower school for 10 years. She started out at VCA as a Room Mother and PTF member from 1992 until 2000. She became a staff member in 2001 and has taught Pre-K3 and Pre-K4, and has served as Kindergarten Assistant, After Care Supervisor, and Summer Camp Supervisor. Mrs. Cardenez’s favorite verse is Jeremiah 29:11 – “For I now the plans I have for you,” declares the Lord, “plans to prosper you and not to harm you, plans to give you hope and a future.” She believes that the Lord gave her the desire and the patience to work with children. It brings her joy to be able to teach them. Mrs. Cardenez and her husband, Ray, have four children: Joshua, David, Angelina, and Daniel. They are all graduates of VCA. Mrs. Cardenez’s hobbies are gardening, reading, and walking in the park. Victory Fellowship is the Cardenez family’s church home. Mrs. Barnitz teaches Art at VCA. She received a Master of Education from the University of Illinois, with a major in Elementary and Early Childhood Education, and a minor in Speech and Hearing Science. She has taught kindergarten, 1st grade, 2nd grade, and preschool. Mrs. Barnitz has especially enjoyed the opportunity throughout her lifetime of sharing Jesus while serving in children’s ministries. She and her husband, John, have four adult children and one grandchild. Since joining the VCA team in 2004 she has taught Art (K-4), afterschool Art Lessons, and has served as director of Mpact/Missionettes Girls Club ministries at Victory Fellowship and VCA. She is currently completing an associate’s degree in Biblical studies and ministry at Bethesda College.